Naqvi's comments come against the background of Congress chief Rahul Gandhi and his party stepping up attack against the BJP-led NDA government over the Rs 58,000 crore defence deal. 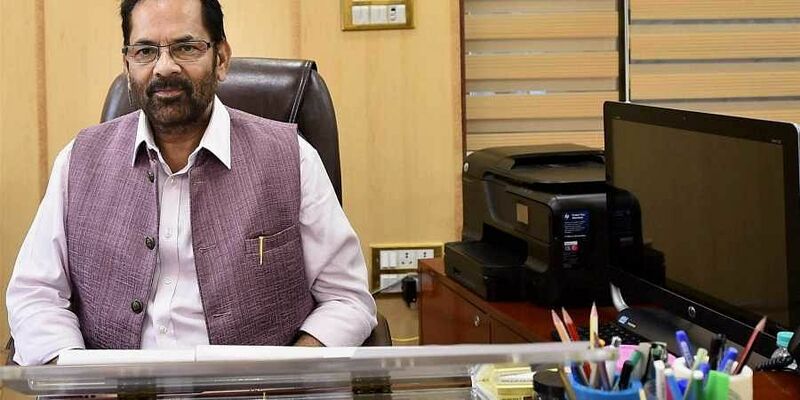 PUDUCHERRY: Amid the Rafale row, Union Minister Mukhtar Abbas Naqvi Saturday termed the controversy a "deep-rooted conspiracy" against national security and flayed Congress dubbing it as a "skeleton of corruption." Naqvi's comments come against the background of Congress chief Rahul Gandhi and his party stepping up attack against the BJP-led NDA government over the Rs 58,000 crore Rafale fighter jet deal alleging corruption and favouritism." "Rafale controversy is deep-rooted conspiracy against national security," Naqvi said. Apparently indicating the Congress, he said the aim of the "conspirator," would be exposed soon. Dubbing the Congress party as a "skeleton of corruption," the minister told PTI "under the leadership of Prime Minister Narendra Modi, transparency and honesty is at the forefront of the system." "That's why the champions of corruption are frustrated and they are trying to fabricate. To mislead the people of the country (on the Rafale deal)." On the sidelines of an event here, Naqvi said: "trust for the prime minister among the people is strong and unbreakable."